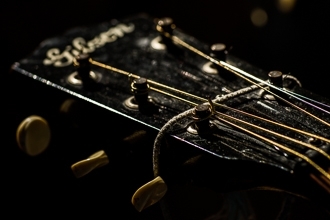 Gear�s a matter of preference, of course; what works for one musician may not be worth much to another. Like many musicians, I�m pretty particular about my gear. For my guitars, I�m after a warm, natural sound, with just the right amount of crispness and air, and I want my vocals to be clear and intelligible. Not every musician would be happy with the equipment I�ve chosen to work with: after all, even something as mundane as cables and connectors can ignite a very spirited debate among musicians! Still, if you�re wondering what gear I use when I�m playing live or recording, the following list will give you an idea.